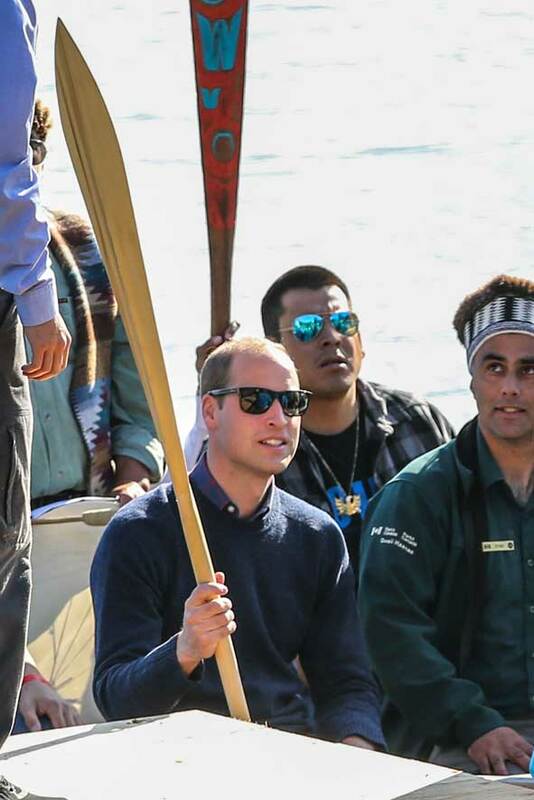 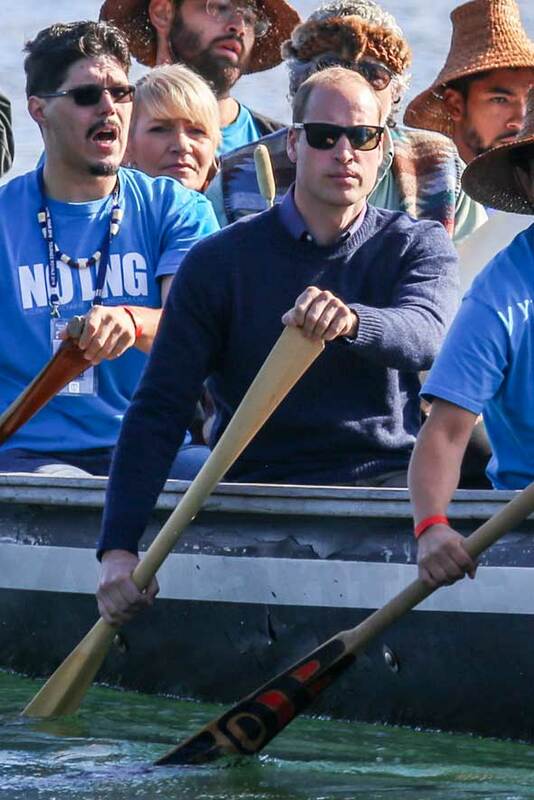 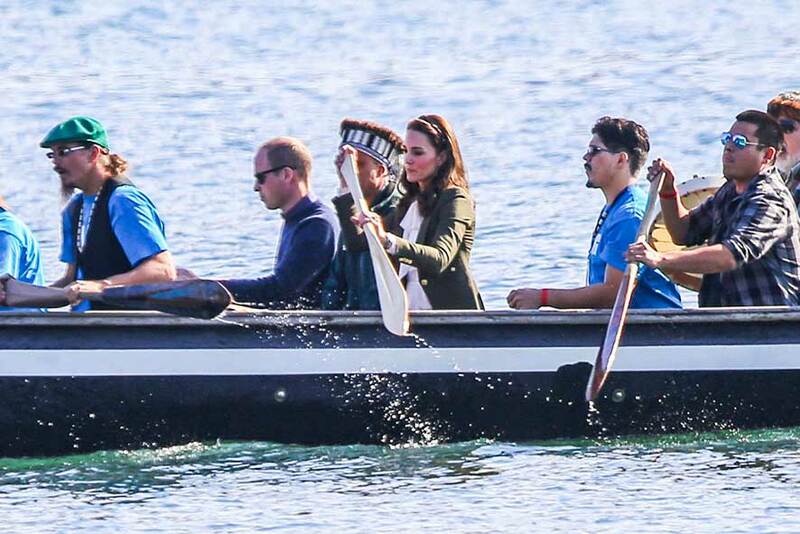 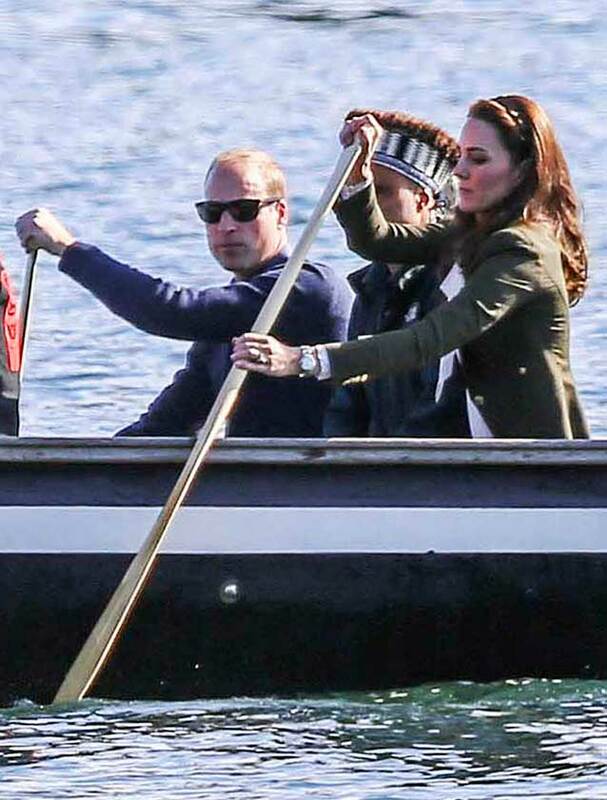 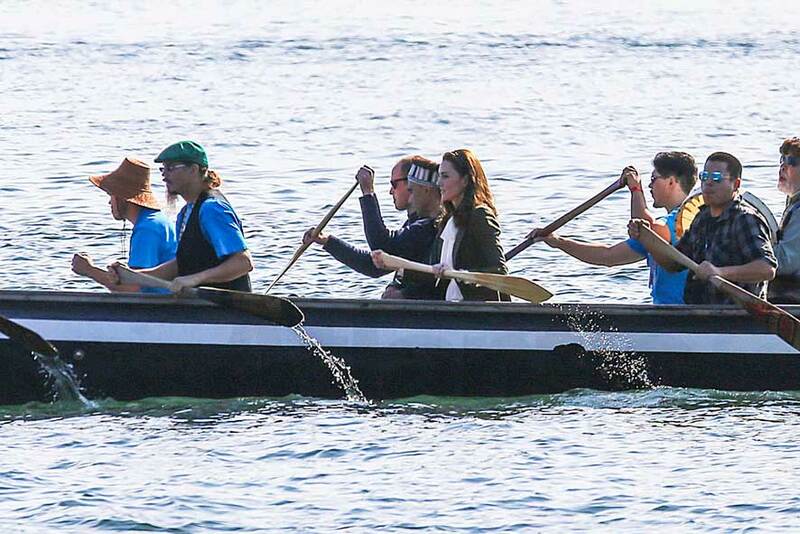 Will & Kate were paddle buddies as they were pictured giving it some welly canoeing in Canada! 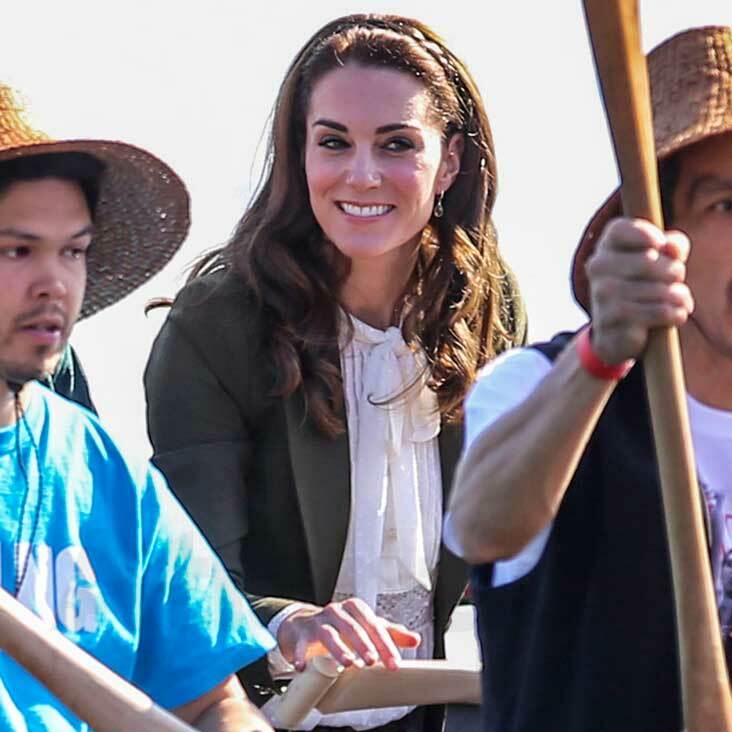 Surrounded by local “warriors” they looked to be having a great time with Kate smiling throughout the fun trip. 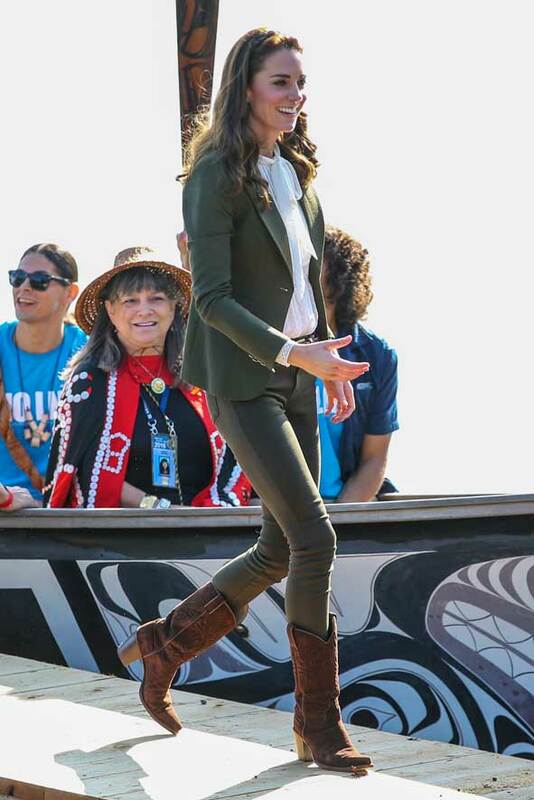 Kate Middleton also showed off her cowboy-style wearing R. Soles cowboy boots as she continued the Royal Tour of Canada. 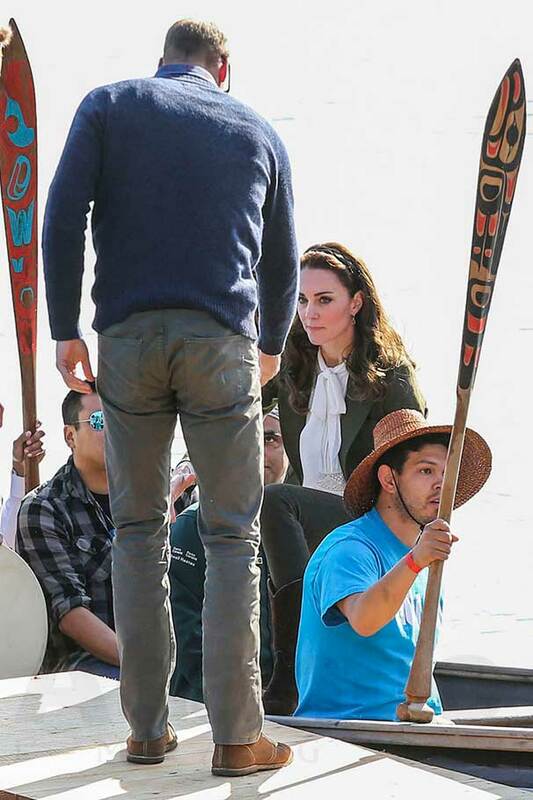 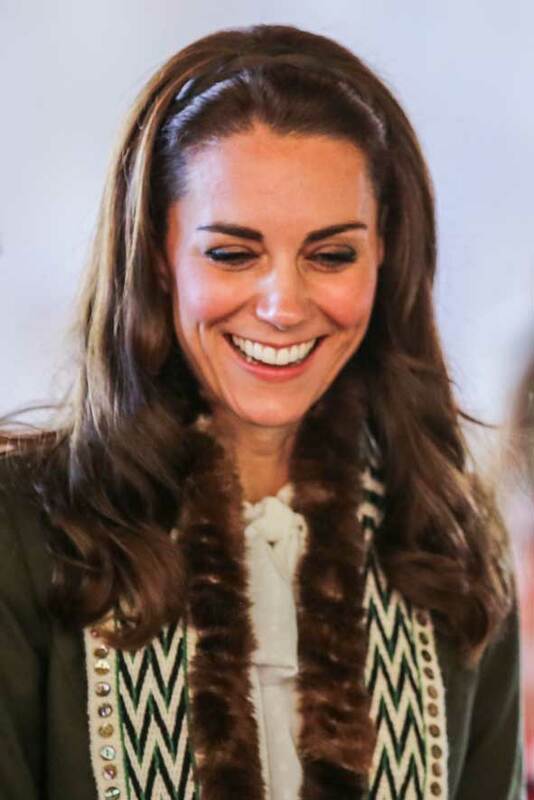 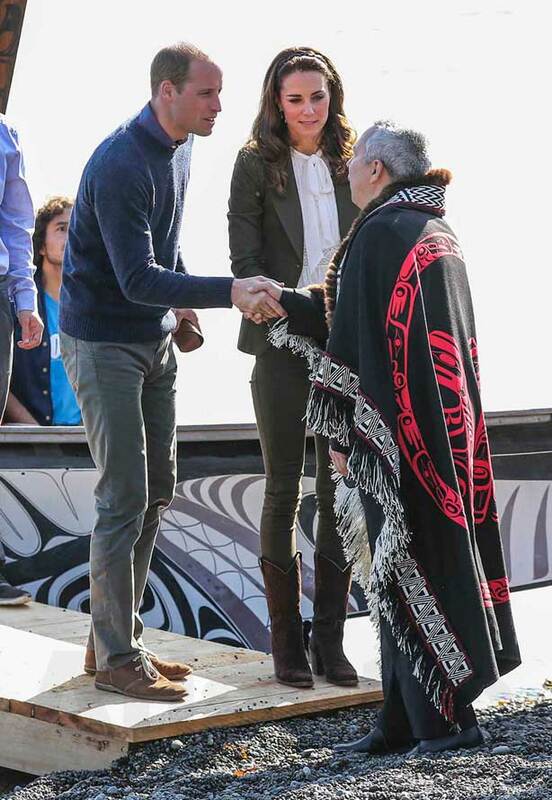 As always, Kate dressed perfectly for the canoe trip to Haida Gwaii and teamed the boots with a Smythe green tweed blazer, Zara jeans and a £79 blouse from Somerset by Alice Temperley. 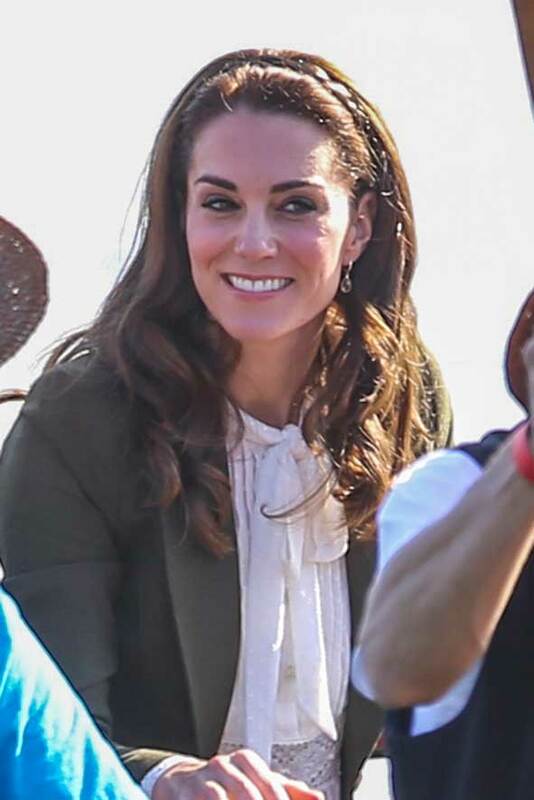 She also accessorized the look with a headband. 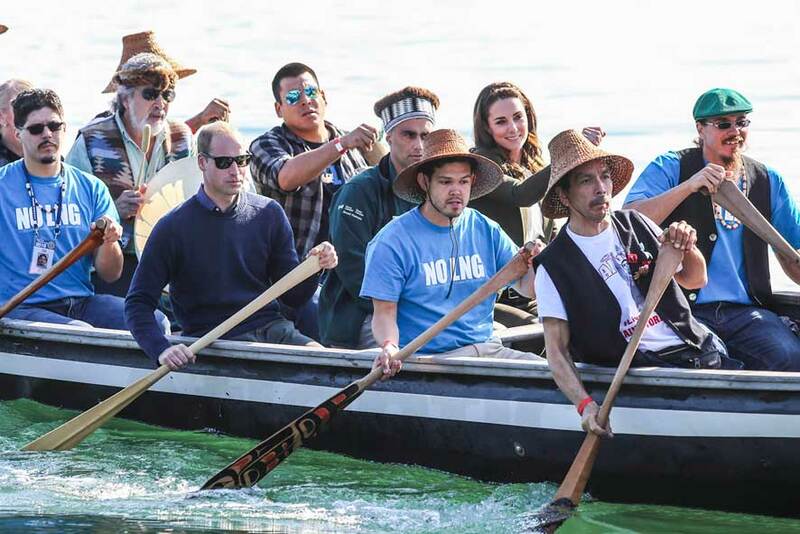 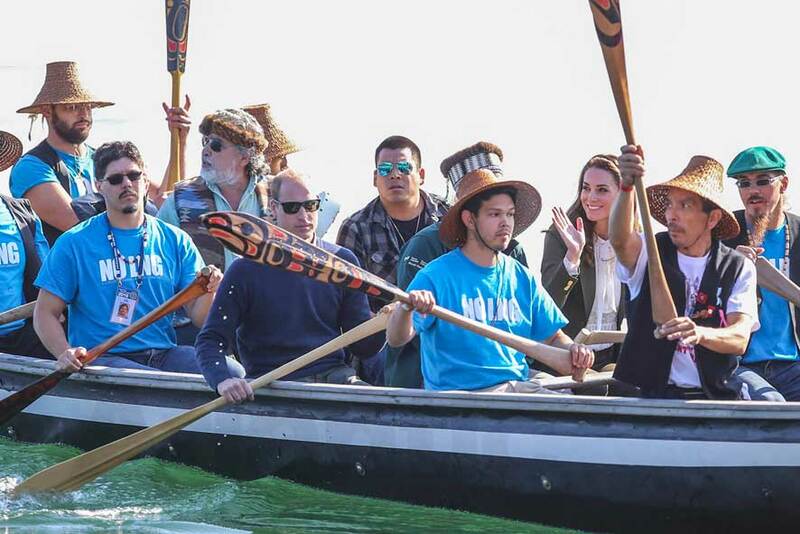 The 25ft war canoe was paddled by warrior rowers wearing T-shirts protesting against a natural gas plant. 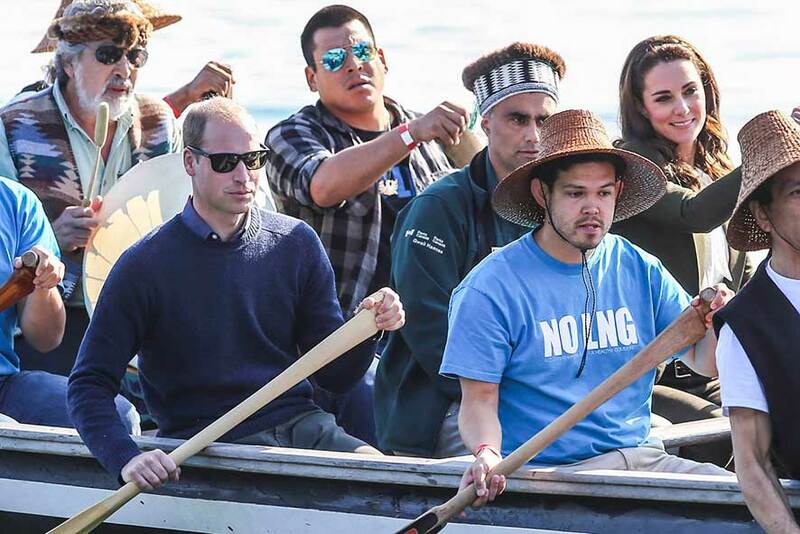 Some of the rowers in the canoe wore blue T-shirts with the words ‘No LNG’ written on them. 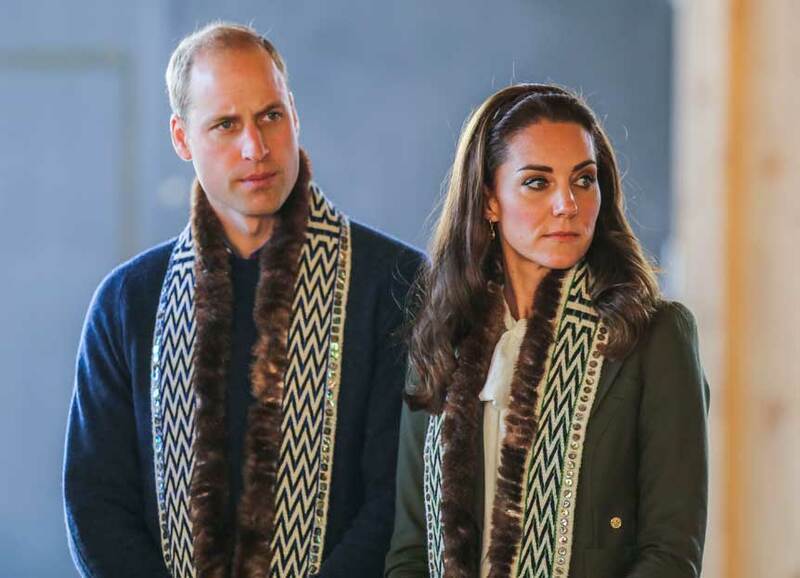 Royal Trivia: The Royal Tour reportedly took six months of behind-the-scenes planning.